Clover firm prepares its 75 years of existence with its new models of trial, with which you want to be among this elite sport. In this last stage that began five years ago, the technological evolution of the brand has been important. In 2015 the 75th anniversary of the Spanish firm is satisfied, one that marked the history of the two wheels in Spain. n this last stage started five years ago, Ossa has focused its efforts on the trial, a discipline that has brought numerous successes. This year has been very important for the Clover brand from the industrial point of view, especially after the agreement with Gas Gas to go hand in hand in a market that has been complicated by the crisis. 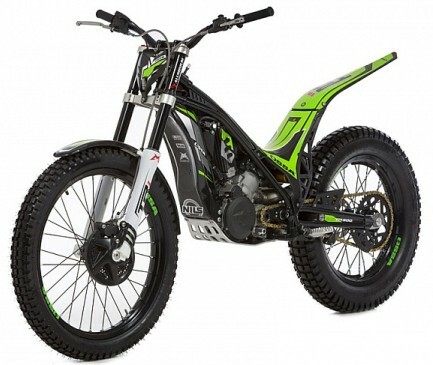 The new Ossa TRi try to get a place among the elite of the trial, as it has achieved with its official driver in Spain, Sandra Gomez, who recently proclaimed Champion of Spain. The new range consists of four displacements from the small 125 cc for those who want to start with an easy bike to handle even the most professional 300 cc, through the displacement of 250 and 280 cc, as the trendsetters of the current trial. The changes compared to the previous model, in addition to the required aesthetic renewal, beginning with reinforced chassis, a hose for the most effective front brake, the new ignition map for smooth power delivery or reinforced crankcase. For suspensions, Ossa still rely on the combination of Marzocchi front and Ohlins rear shock.